Shocking as Ghanian movie goddess Yvonne Nelson recently unfollows the father of her baby , Jamie Roberts on instagram further deleting all their memorable moments of their time together. Could be it that Yvonne is having a down time in her relationship and obviously can not handle what she was seeing on her page. Details are yet to be fully discovered on their actions. The pair who welcomed a daughter, Ryn in October 2017 both unfollowed each other on Instagram, see below: It was a big deal for her fans who wanted to know who the father of her child was as she was good in hiding his identity for a long time, before she finally decided to unveil his identity as Jamie Roberts who is said to be a British photographer. According to reports back in December, the beautiful actress and her baby’s daddy were spotted having a good time together. Both of them looked happy and great from the boat cruising video she posted on her Instagram. Her fans are definitely interested in finding out the scenario that led to her actions on Instagram but fortunately she seemed not to be bordered by anything from her recent posts as well. 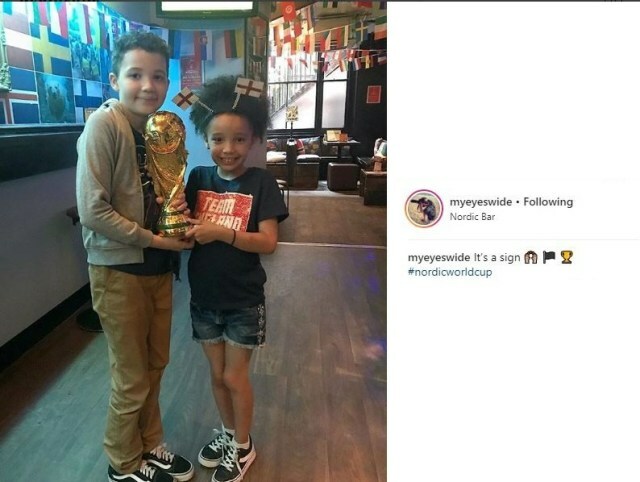 Just days ago,Jamie who’s a British photographer, posted a pic of his kids with his former Nigerian wife, obviously to spite Yvonne .